Liverpool remain on the lookout for a new goalkeeper, and could now turn their attentions to Fiorentina stopper Neto, as they look to find a suitable challenger to the club’s number one spot, currently occupied by Simon Mignolet. 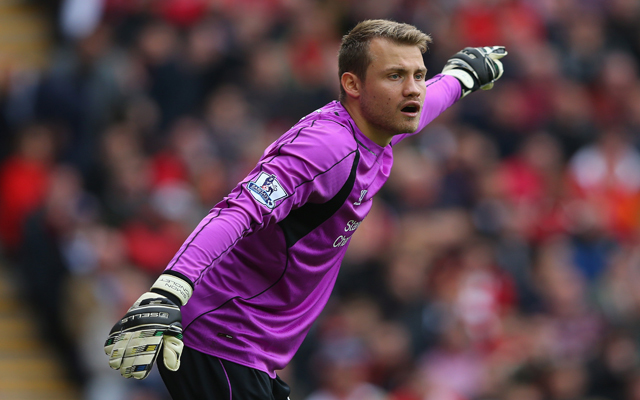 Reports in the Daily Star claim that Reds boss Brendan Rodgers sees Mignolet, who moved to Anfield from Sunderland last season, as one of the weak points in his team and is desperate to improve in that position as soon as possible. The Belgian international was a fine player at his previous club but has struggled to replicate that form for Liverpool, and his time may be up as the club look to push forward with a move for Neto. The Brazilian shot-stopper has caught the eye with his performances in Serie A, and he is now the latest to come onto the Reds’ radar after big names such as Victor Valdes and Iker Casillas have also emerged as contenders to strengthen between the sticks. Neto, 25, could be another good option for the club, and may be available for a reasonable price this January as doubts remain over his future with La Viola, with the Florence-based club keen to open talks over a new contract for the player as he ponders an exit. Another Serie A based stopper, Mattia Perin, was also linked with Liverpool yesterday, and after missing out on a goalkeeper during the summer, Rodgers seems certain to strengthen in the January window.